Have you entered your little speed crawler in this weekend's big race? 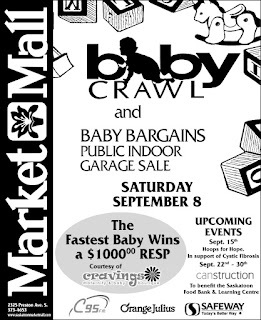 C95's Fall Baby Crawl at Market Mall will be held Saturday, Sept. 8. 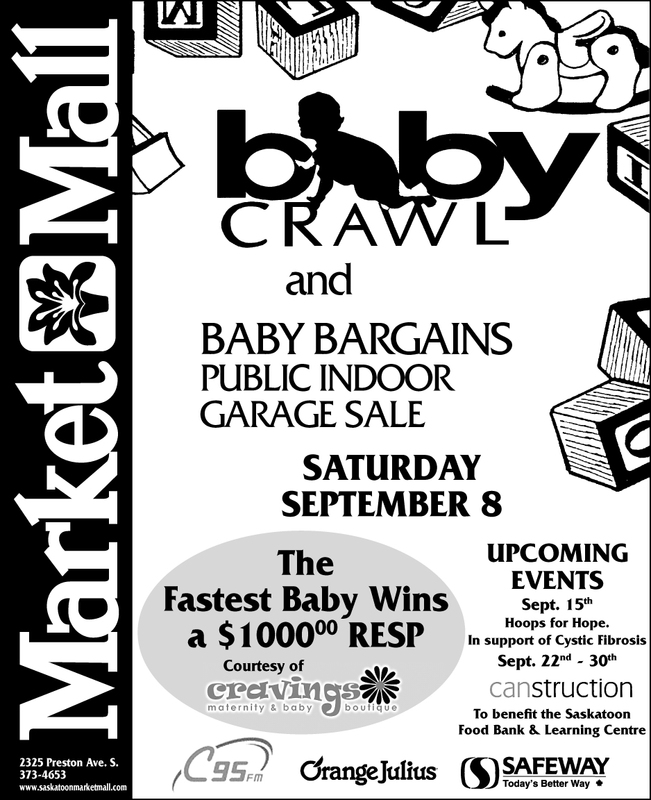 If your baby is like Little J at this age (not too interested in crawling), you can still race around for baby bargains during the public indoor garage sale being held inside the mall on Saturday from 9 a.m. to 5 p.m.
Click here to pre-register for the race online. On your mark, get set, go!